It is easy to overlook the powerful impact this passage can have on our lives and ministries if we only think of it as, “a Bible story for children.” I’m sure the Priest and Levite were both good, upstanding members of their communities. I’m sure they were on their way to do something, “important.” But, by failing to stop and show compassion, they missed an opportunity to do the most important thing. It is good to be goal-oriented but we have to remember that our highest goal is to, “‘Love the Lord your God with all your heart and with all your soul. Love him with all your strength and with all your mind.’ (Deuteronomy 6:5) And, ‘Love your neighbor as you love yourself.’” (Leviticus 19:18) (Luke 10:27). If this is our highest goal, then we will be able to keep our eyes open for the special opportunities that God places along our paths to be the gloves that Jesus wears as He touches the lost and broken through us. This is the essence of the Christmas Message: “The Word became a human being. He made His home with us. We have seen His glory.” (John 1:14a) Jesus did not allow His Divinity to prevent Him from taking on Humanity. Likewise, the Good Samaritan did not allow his Ethnicity to be an excuse to avoid his duty to Humanity. Therefore, we cannot make any similar excuses (socio-economic, political, or racial etc.) for failing to reflect God’s love for our neighbors in the whole world. As we love God with all of our lives and love our neighbors as we love ourselves, we are reflecting the glory of Jesus Christ who was born to make His home with us and in us and He will touch others through us. Merry CHRISTmas! Kayo and her team launched the first weekly Japanese service on Saturday, November 29 (9am-10:30am). The service, which is sponsored by the International Christian Assembly’s Life Group Ministry is being hosted by the Korean Methodist Church in Phnom Penh, located one block from our house. 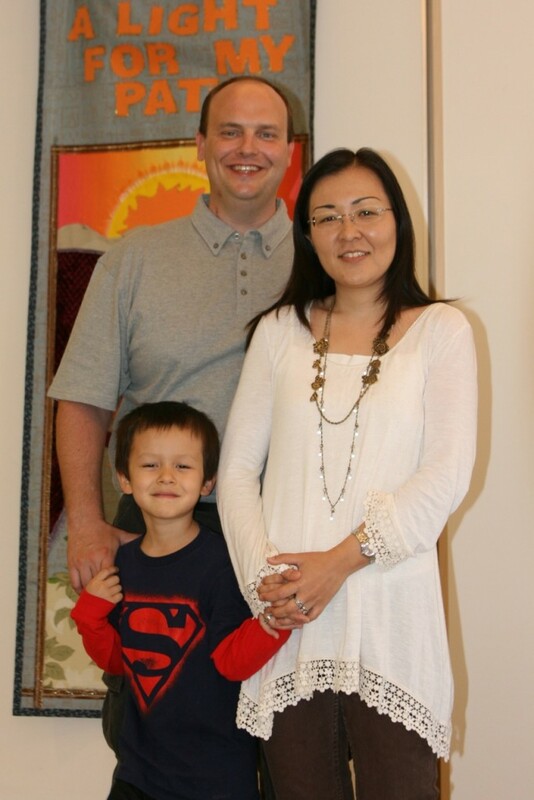 The Methodist Church’s pastor’s wife speaks Japanese fluently, one Japanese man attends the church, and some of the Korean members speak Japanese fluently. Kayo played the piano to lead the worship time and Taka, a Japanese missionary to Cambodia (his wife is American-from Missouri) preached. Taka was saved as a young man in Cambodia while he was here serving as a volunteer. Twelve attended including Darryl and Benjamin, one Cambodian, three Koreans, and six Japanese). 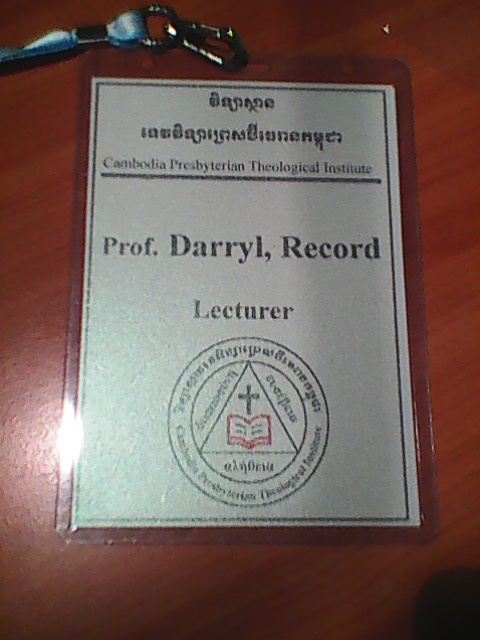 Teaching Apologetics at CPTI: Darryl was unexpectedly invited to teach Christian Apologetics at the Cambodia Presbyterian Theological Institute for the second year in a row. 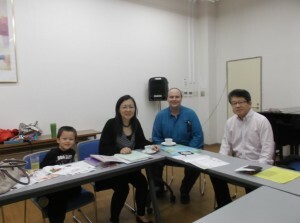 His class began on November 27 and will run until the beginning of February. This time he only has ten Master of Divinity Students instead of 39 from all levels so the class is held in a small air conditioned classroom which is nice. This time, Darryl is teaching around 80% of the class in Khmer with one of the students standing by to step in and translate when Darryl is unable to explain complex concepts from science, history, mathematics, or theology which are all related to apologetics. Darryl really wasn’t expecting to teach more but God sometimes places unexpected opportunities in our paths. Politics and the Bible Coaching: Another unexpected opportunity is that Phany, Darryl’s long time friend asked him to help him understand the relationship between the Bible and politics. Phany has had some burden to make an impact on Cambodian politics for several years now and he senses that God wants him to get prepared for whatever may come. For a Christian to engage in the political system in any nation without compromising their faith or placing themselves and other Christians at risk is a major challenge. In Cambodia the challenges are multiplied! First of all, please pray for God’s guidance and protection over Phany and his family as he seeks to be obedient to God’s call in this area of his life. Second, please pray for Darryl to have God’s wisdom, discernment, and sensitivity to be able to equip Phany from his background in Political Science and Apologetics with what Phany really needs to bring God’s love to his culture. When Phany was a boy, his job was to watch his family’s cows. Sometimes when he was thirsty he would drink the water that collected in footprints of the cows. One night he had a dream that he would be in his village speaking English with a white man. 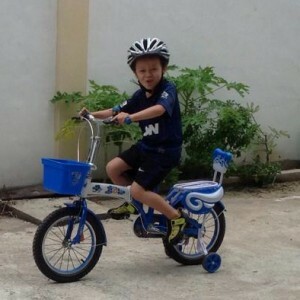 He rode his bicycle two hours (one-hour each way) for a one hour English lesson. Later when he came to the capital city for work he met other English teachers in Darryl’s team and through the prayers and influence of the team; Phany, his relatives, and many in his village became Christian. He went on to found Kone-Kmeng (http://www.kone-kmeng.org) now is helping around 100 churches in rural Cambodia develop ministries to minister the children (around 10,000 total by now) in their neighborhoods who are most at risk of being sold into child prostitutes or labor. Some of those children are now coming to the capital as university students and are living in Kone Kmeng’s dormitory. If God can bring Phany to this level by his early thirties, HE may bring Phany to even more things later. In their first session on November 28, Darryl and Phany discussed how the belief in God as the Creator and the correct understanding of Human’s Image of God relates to morality, human rights, abortion, euthanasia, the definition of marriage, and environmental management. International Fishers Media Update: www.internationalfishers.com/khmer continues to grow in popularity. Darryl was able to make and post a new video in English and Khmer entitled Jesus Christ the Only Rescuer. This video answers the question is faith in Jesus Christ the only way to be saved? It also answers the common objection to the Biblical answer (Yes) by asking the question: If you were drowning and only one lifeguard came to save you, would you ask for more options? 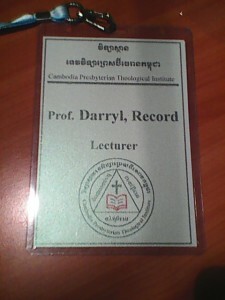 In addition, Darryl was able to give out around 86 CDs full of this video, other videos, and the Truth Talks MP3s at the Evangelical Fellowship of Cambodia conference, to CPTI students, and to students at the Cambodia Bible Institute (AoG school, where Darryl taught two years ago, they may be have another class in the next year or so). Thank you for your continued prayers, encouragement, and partnership. We will have a team from Calvary Chapel La Mirada visiting and working with us from December 9-16. Please pray that God will bless and use that time for His greatest glory. The purpose of all the kinds of ministries mentioned in Ephesians 4:11 is to “equip the saints”. When I was a child, I remember seeing fire trucks that were yellow or white etc. instead of red. Of course I thought that red was the right color for a firetruck. Looking back I realize that the most important thing about a firetruck is that it “puts out fires.” The same is true for ministries, including ours. We need to constantly ask ourselves, “are we effectively equipping God’s people to do His work and build up the church, the Body of Christ?” If we are only building our own ministries, our own churches, or denominations etc., we are not being effective. If we are doing all the ministry while others are standing on the sidelines as fans or spectators, we are not being effective. This means that we will plant seeds that others will harvest because God is the one who gives the growth. There are between than 1,400 to 3,000 Japanese living in Cambodia long term and around 180,000 Japanese tourists visit Cambodia each year. 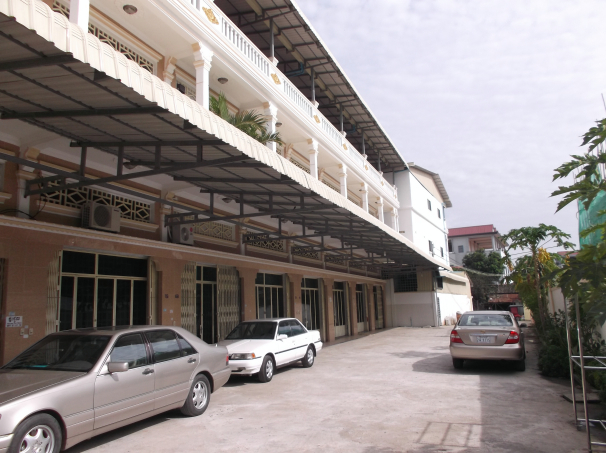 There are Japanese owned factories, banks, and other businesses including the largest mall in Cambodia. The Japanese Life Group is the only Christian ministry available in the Japanese language. So far, Kayo has been hosting a monthly fellowship for Japanese Christians and those interested in Christianity at our house. She was very surprised when her small group of Japanese proposed the monthly meeting become a weekly church service. One of the Japanese missionaries has offered to preach, Kayo will lead the worship, and others have volunteered to do other things. The Korean Methodist church, one block from our house, has offered to allow the group to use their facilities for rent-free. This will be an independent service co-sponsored by the International Christian Assembly and the Korean Methodist Church. The first Japanese service will be held on November 29. Please keep this in prayer. It came to my attentions that Youtube was blocking all of my Khmer language as “inappropriate.” This means people would have to turn off their safety mode, parental controls, or even possibly override other web filters in order to view my videos. Not wanting IF’s videos to be in such an uncertain predicament, I felt led to open www.internationalfishers.com this is a one-stop website that has the capability to post my MP4 videos so that people can view and download them but also allowed me to post all 13 hours of the Anchors of Faith Radio Program in streaming and downloadable MP3. Special thanks to our dear friend Donna for the new logo and for Thorn, a Kone Kmeng staff member for translating the flyer and website into Khmer. There are separate pages for English, Khmer, Japanese, and Spanish. As God opens the doors I would like to offer more materials in these languages and even set up pages in other languages as well. Lord willing, I can release more videos in November and make new ones. I am very happy that my friend Phany (Kone Kmeng’s founder) was able to bring back a light and microphone from the US when he visited there for some conferences. This new equipment makes it possible to really use the new video camera to make videos. Our mechanic, a Cambodian Christian, has agreed to appear on an IF video in which he will talk about how the Bible is like the owner’s manual for a car and how sin is similar to putting diesel in a gasoline engine etc. This video will be in Khmer with English subtitles. There are other videos in process and planning stages including some videos for children. We thank God for providing an unexpected special donation to cover the expense of the equipment and website, just when we needed it most. 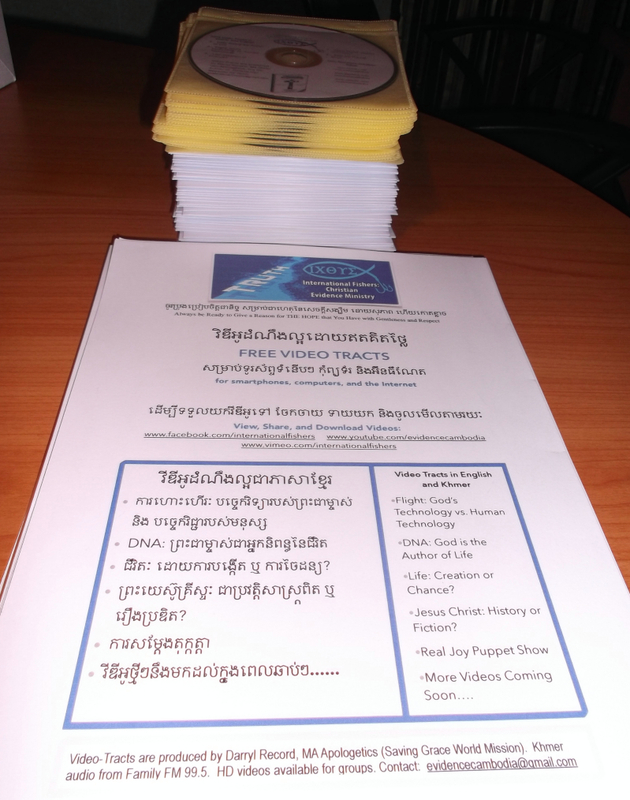 During the month of October IF was able to give away around 85 CDs full of Khmer language video-tract MP4s and Truth Talk MP3s along with more than 100 flyers. It was a great opportunity to be able have a display table at the John Maxwell conference at New Life Fellowship. It was exciting to be able to give the CDs to Cambodian christian leaders including pastors from extremely remote provinces. NLF is (as far as I know) the largest church in Cambodia. They have been very supportive of the work of International Fishers and it is wonderful that one of their main goals (beyond reaching Cambodia) is to send Cambodians as missionaries to other countries. Lord willing, when that happens, International Fishers will be ready to produce and provide videos and other evangelistic materials for those missionaries to take to other countries. After the next Khmer language video is released, we plan to do another display table at NLF’s three Sunday services to distribute flyers and CDs with MP4 videos and MP3 audio to as many of the 1,000 Cambodians who attend each Sunday as possible so that those Cambodians can use the videos and other materials to help them share the Gospel with others in their schools, workplaces, and families! In 2007, we left the USA without sufficient funds to continue on to Cambodia as missionaries. By God’s grace, the churches in Japan stepped in filled in the rest of our needs, which made it possible for us to continue on as missionaries in Cambodia, instead of being tentmakers in Japan. In 2008, when the financial crises hit the USA, the Japanese Yen/US Dollar exchange rate gave our donations from Japan a major boost in value from 110 JPY for 1 USD in 2007 to around 80 JPY for 1 USD from 2008-2012. This exchange rate boost, helped our financial situation and made it possible for us to publish two books and sponsor a radio program. That exchange rate “bonus” season kind of reminds us of the the story of how God used ravens to feed Elijah during the drought (1 Kings 17). From the beginning of 2013 until now, the value of the JPY has been falling. Now it has fallen to 112, which is even lower it was in 2007. Between 2007 until now our expenses have increased mainly because our family now has three members (insurance, transportation, and education expenses). By moving to our new house, we have been able to save $150 per month in rent and Benjamin’s school transportation fees. We have made some other steps to save money as well. However, our best efforts have not been able to offset the increases in other expenses, especially combined with a 30% drop in the value of our donations from Japan over the last 22 months. The Japanese Christians have been giving more than ever but it is difficult to overcome the exchange rate loss, at least in the short-term. 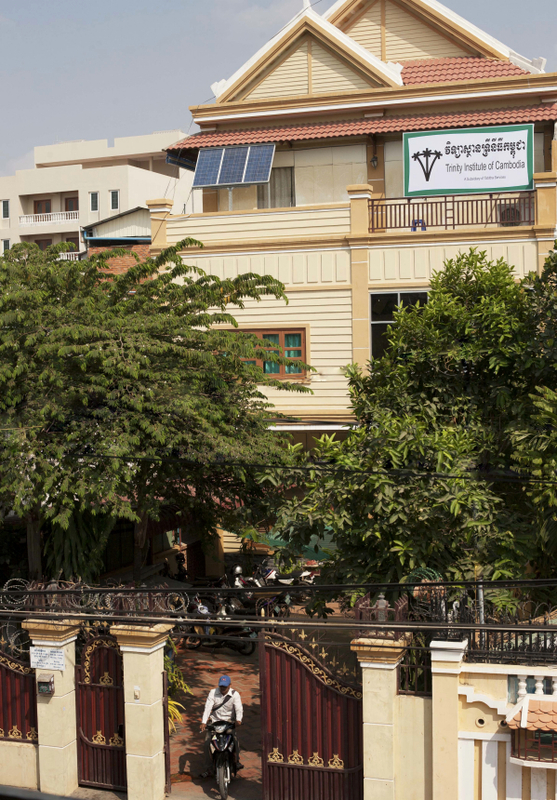 Cambodia’s economy is based on the US Dollar. The ATMs give dollars and most major purchases are made in Dollars. The Cambodian currency is only used as change in place of quarters and nickels. This means that right now, donations from the USA literally have more, “bang for the buck,” than those from Japan. 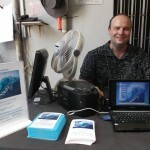 Here are the Facebook, YouTube, Vimeo, and Dropbox links for my latest videos. Some people may have had difficulty accessing the video links in the last e-mail. 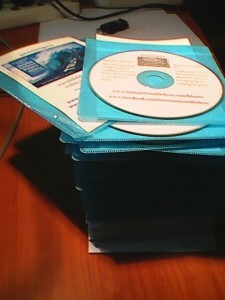 All of my video-tracts are posted on www.facebook.com/internationalfishers/videos. This is a public page so you don’t need to have a Facebook account to view the videos. 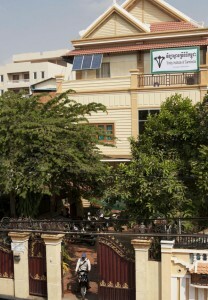 You can also access the same videos at www.youtube.com/evidencecambodia. If you want to download the videos I recommend that you visit www.vimeo.com/internationalfishers. My newest video-tract Flight: God’s Technology vs. Human Technology. 2. Commissioned-a mission challenge video for CC La Mirada’s Missions event on September 27th. As always thanks for helping make these videos possible and for your prayers and patience as I work out the technical challenges. Those who access this blog via e-mail were unable to view the videos that I mentioned. Here are the links. Thanks for helping to make these videos possible! These verses have been on my mind lately. “So then neither the one who plants nor the one who waters is anything, but God who causes the growth. Now he who plants and he who waters are one; but each will receive his own reward according to his own labor (1 Corinthians 3:7-8).” I don’t know if I am a planter, a waterer, or maybe I am the guy who makes and repairs the planting and watering equipment. In any case, it seems that God often calls us to work together with others. By combining the work of two or more people who may be weak on their own, God can bring about an amazing synergy and harvest. I am no Bible trivia expert but I can’t think of too many obedient and successful Bible characters who were strong and wise enough to be “Lone Rangers.” Samson was a lone-wolf but his wisdom did not match his strength and so he had a lot of problems. I recently watched a documentary about England’s King Henry V’s defeat of the French army despite 10 to 1 odds. Henry V’s army was made up of “commoners” while the French had a lot of knights and experienced soldiers. The key to the victory was that Henry V equipped his troops with creative weapons, encouraged them to work together, fought along side of them as an equal, and valued the contribution that each “common soldier” could make. Of course even the Lone Ranger had Tonto. >. New videos Flight: God’s Technology vs. Human Technology were released in Khmer (click to view) and English (click to view) . I am blessed that God allowed me to use music by my good friend, Rev. Bob Boxer and photos by Rev. Kevin Soileau. My former student in 2009, Chamroeun translated the script, Rev. Em Sok edited the script, and Kone Kmeng’s staff helped with the on screen titles in Khmer. Other Christian artisans either have or are assisting with the videos as well. >. Produced Commissioned, a special Great Commission challenge video, for CC La Mirada’s “GO” mission event on September 27. The full version which includes a special greeting from Kayo and Benjamin will be available until October 15 (click to view) a shortened version will be available long-term (click to view). >. 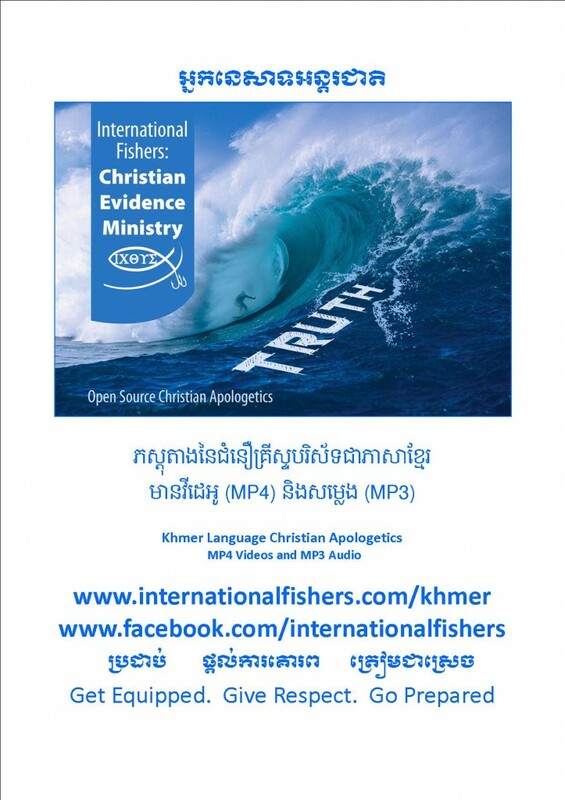 Shared the International Fishers Resource DVD (videos, radio program, and power points etc.) with Samaritan’s Purse Cambodia. >. 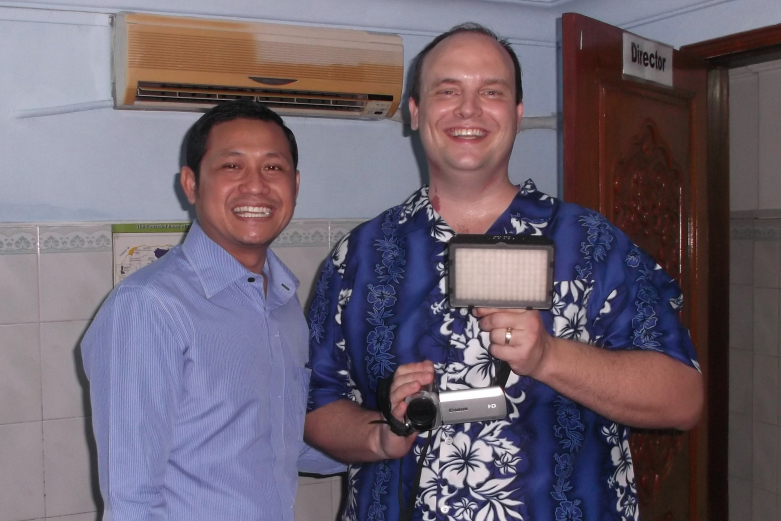 Shared the IF Resource DVD and Video DVDs (capable of playing on DVD players) with a senior missionary who is conducting a three-month residential discipleship program for 12 Cambodians in their teens and twenties. Finding the right software to make discs that can reliably play on ordinary players is critical to distributing these videos to people without computers or high-speed internet. Even in places without electricity many homes have televisions and DVD/VCD players which are powered by car batteries. >. Shared MP4 Video CDs and flyers with 50+ local heads of international mission agencies operating in Cambodia. This boosted awareness and was well received. The most promising response came from the Pastor of the largest Cambodian church (1,000+ members in the main church plus 60+ church-plants nationwide) who told me that he wanted to help IF videos “go viral”. 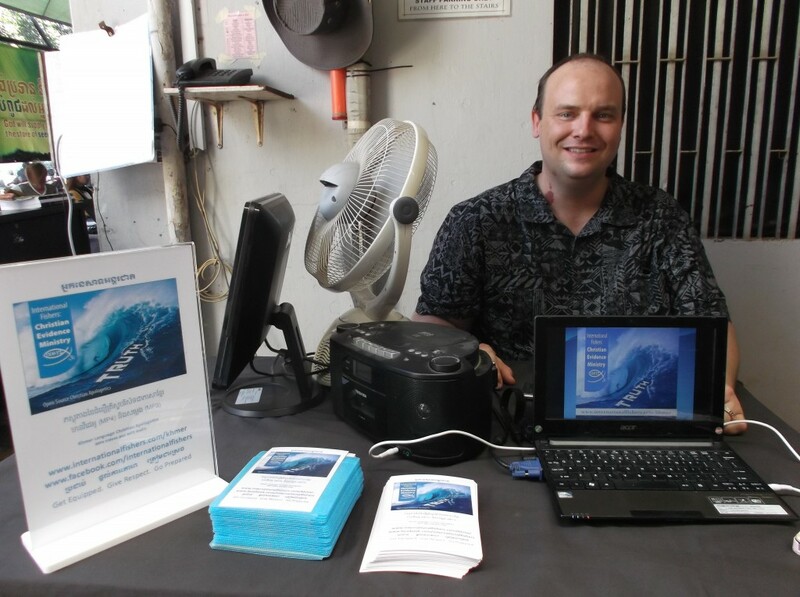 Many of the members are young, well-educated, and tech-wavy so they tend to be early adopters of new technology and techniques. Other churches often follow their example. >. 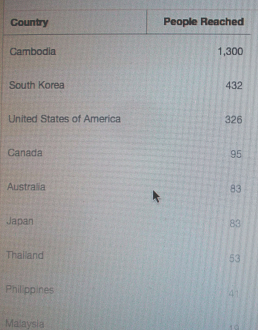 Continue to share videos with Cambodians living in the USA. More exciting developments are in process. Hopefully they will be ready to report in October’s Update. 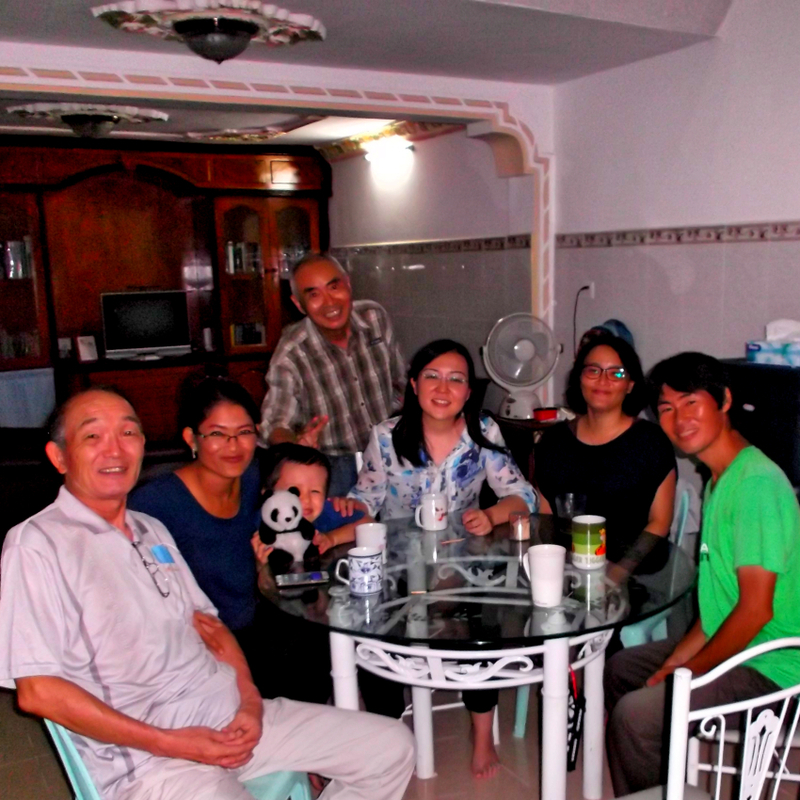 Kayo’s Japanese life group is regaining momentum after our time in Japan and move to the new house. This month, four Japanese (two not Christian…yet), a Korean pastor’s wife who is fluent in Japanese, and the Cambodian wife of a Japanese man attended. Please pray for more Japanese missionaries to get involved and help to host and expand these fellowships. 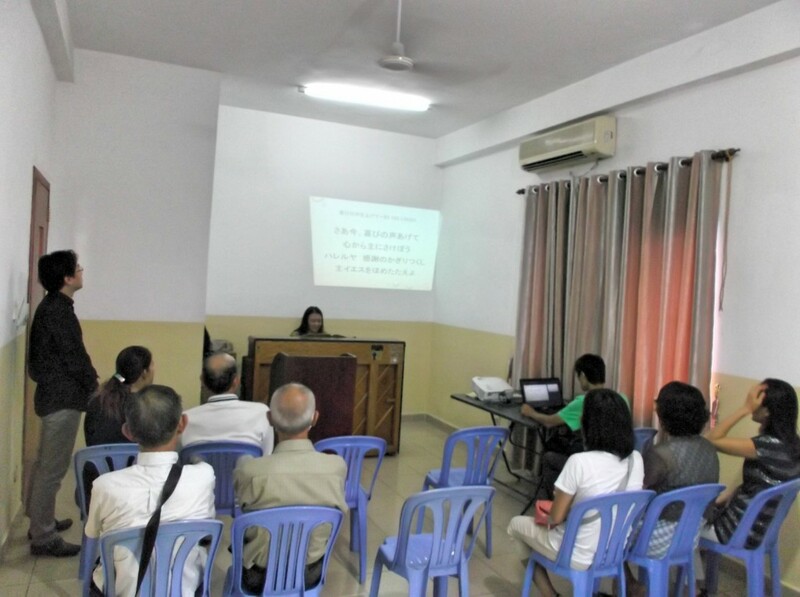 This is the only Christian fellowship in Cambodia in the Japanese language. Kayo also joined International Christian Assembly’s worship team twice and visited Precious Women Ministry. Lord willing she will be able to resume her mentoring ministry there in the future. 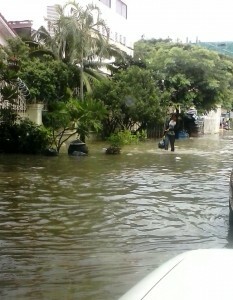 Flooding in front of our church. Cambodia’s rainy season is in full force now so flooding is in full force so Kayo often has to drive through deep flood waters to go to her ministry events. I work at home and take Benjamin to school on the back of my bicycle so most of my car trips can be rescheduled if there is flooding. Kayo on the other hand, “must go through.” Benjamin and I wish we could make our 1991 Camry do what Ramone in the CARS movie can do. Benjamin is learning to ride a bicycle now and is also learning to pray about his friendships with other kids at school. Our new house is next to the white Toyota. The rented townhouse where we lived since December, 2011 was sold the end of July. It had been on the market for 1 1/2 years. After being informed of the sale, Darryl prayer-biked around the area of Benjamin’s school for a couple of hours looking for houses. He found this house quickly. On the way home, he stopped by Kone Kmeng children’s ministry. Sampoa, our house-helper from 2007-2009 (now an administrator at Kone Kmeng) looked at the picture that Darryl took of this house that he liked best and told Darryl that she had already negotiated with the landlord when Kone Kmeng was looking for a new location a few months earlier. Because we were a family instead of an organization, the landlord reduced the rent by $50 a month. Sampoa’s husband is a contractor so he could install screens, additional wiring, kitchen counters, a kitchen sink, and curtain rods to make the new house livable. Because our former landlord sold the house during our 5 year lease, he returned double our deposit which was enough to pay for most of the needed upgrades and moving expenses. Now, we are finally unpacked, set-up, and ready to start working. It is great not to have the uncertainty of moving or not moving every month hanging over our head (we have a 2 year lease). It is nice to be able to walk Benjamin 2 blocks to school instead of either having to drive him through traffic jams or put him on a school-van. This new townhouse-group shares a gated parking lot so the security is good and it will be safe enough for Benjamin to learn to ride a bicycle. The old house was in a more commercial area so the noise, parking, and traffic made it hard to feel at home. Even though most of the month of August was spent on the house-move, Darryl was able to form an informal partnership with Samaritan’s Purse (Cambodia branch) to help them train their 90 Cambodian staff members across the country in Christian apologetics. 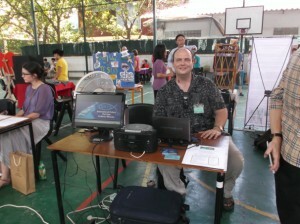 They are interested in using and distributing: Darryl’s present and future videos, audio recordings of the Anchors of Faith Radio Program, books (Christianity: Reasons for Faith and Christianity: Discerning Essential Doctrines and Preserving Unity), and the Power-points Darryl developed for the AoG and Presbyterian Bible Schools here in Cambodia. Darryl may also do some training of trainers for them. These are the kinds of partnerships that will maximize International Fisher’s impact in Cambodia. Local organizations already have the manpower and network, and relationships, they only need to be trained and equipped so that they will have confidence in the Truth of God’s Word and be prepared to give a reason for their hope with gentleness and respect. FEBC Cambodia was also able to record the Cambodian language audio track for the video Flight: God’s Technology vs. Human Technology. Darryl will start producing this video soon. Kayo spent most of August packing, unpacking, and she continues to fine-tune our new house. 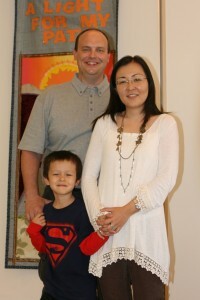 She was able to join the worship team at church and host a Japanese-life group. We are looking forward to this new season of life and ministry in Cambodia. We trust that God will continue to open new doors for us. My home-office doesn’t have air conditioning, so in order to give my new computer a fighting chance, I work in our guest room most of the time. Here are some opportunities that God has brought to the International Fisher’s guest room/office/studio during the past month. 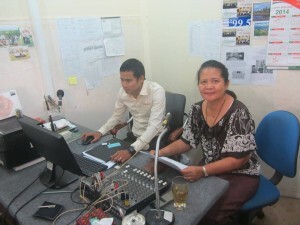 Mrs. Samoeun Intal recording DNA: God is the Author of Life (Khmer Audio) at FEBC’s 99.5 FM. Produced by Meth Kong, who also was the voice of “Udom” in the Anchors of Faith Radio Program. God opened the door for Mrs. Samoeun Intal, the founder of FEBC’s Family 99.5 FM radio station to record the Khmer audio for DNA: God is the Author of Life. Samoeun was the one who invited me to write scripts for the Anchors of Faith radio program a couple of years ago. 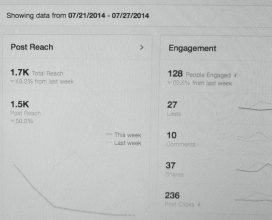 it reached 1,700 people for a maximum total reach of 5,900 people in less than two weeks! 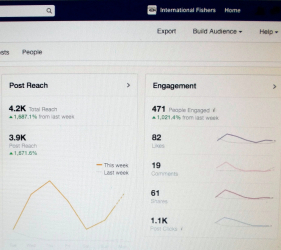 The page was viewed by people from 42 nations including 4 from Saudia Arabia and 1 from Israel! I was also able to share the DNA video and all my other Khmer and English videos with Gateway Cafe Ministries. Gateway was the form location of Trinity Institute to share with their students. I have also shared my videos with Cambodians living in the USA so those videos will begin to be used for evangelism and passed from person to person. I have also had some opportunities to share my videos in Spanish: Life: Creation or Chance and Jesus Christ: History or Fiction? with some of my Spanish speaking friends in the USA and Mexico. As if that weren’t enough, God gave me the opportunity to serve as apologetics tech support/ghost writer for a missionary to a closed country in the Middle East. This missionary, who has to operate under an alias because of death threats was answering a Muslim man’s questions about the evidence for the New Testament and why Christians don’t have dietary restrictions via e-mail. It is like a dream come true. I can only imagine the actual and potential reach of International Fishers, especially as more and more Cambodians and other language groups around the world gain access to high speed Internet. The younger generation is very open to video-tracts (short evangelistic videos) in their own languages. The great thing is that video-tracts very inexpensive to make and distribute when compared to paper tracts, books, radio programs, or television. 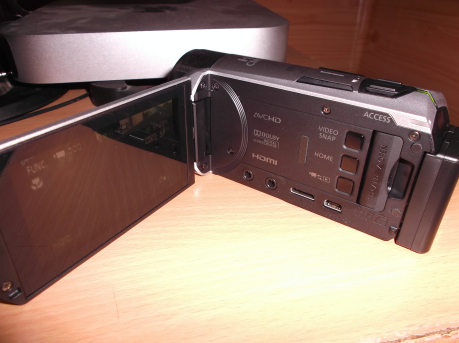 I am also thankful that God has provided a new video camera through some Christians in Hiroshima, Japan. This video camera has a jack for a microphone which (once I get one) will allow me to use live audio and record interviews in HD. This camera packs a big punch despite being about the size of a soda can! Its small size will allow me to film without attracting too much attention and also will be less likely to be snatched from my hand by thieves. In my last post, I mentioned that I had resigned as Vice President of Trinity Institute. I had hoped that I would be able to continue to serve as a board member. On July 15th, I felt God leading me to step down as a board member as well. Since returning from Japan and June, I no longer felt God empowering me to work with TIC as a result, the work became increasingly stressful and I began to feel burned out. Stepping down as VP relieved some of the stress but not all of it. The stress of TIC has often been so great that it has made it difficult to focus on International Fishers. In many ways, I felt like I was spread too thin and I was being pulled in too many directions to be effective any anything. I came to realize that “burn-out” can be a sign that we are doing more than God is asking or empowering us to do. Both of my fathers (earthly and heavenly) both reminded me that it was God’s calling for me to start International Fishers back in 2003 has led me to be a missionary in Cambodia since 2007. While waiting for the doors to open to pursue International Fishers full-time, I have done my best to be faithful with the opportunities. God has used everything I have been involved in so far (teaching English, helping the Christians in Kampong Chhnang, helping three different Bible Schools, authoring and co-authoring 2 books, writing scripts for the radio station, and helping to launch Trinity Institute) to prepare the way for International Fishers. I love Trinity Institute because I still believe in the vision and I believe that God wants to use it mightily in the future. If God empowers and calls me to return, I am willing to do so, but I sense that my work there is finished, at least for now. When I started with TIC three years ago I was the only one among the board or executives with any formal training in education (MA TESOL). Now the Academic Director and a new board member both have Master’s Degrees in Education and are highly experienced and gifted educators. They will be able to develop TIC to a level that I never could and I trust that God will raise up others to fill the gap as well. It is a step of faith for me to leave a ministry that is easy to explain and justify to work on International Fishers, which is completely uncharted waters. Logically it doesn’t make sense, but God called me to step out of the boat and so I obeyed. Since I have started working full-time to develop International Fishers, I can say, for the first time in my life, I not only love what I do, I really enjoy it too! His yoke is easy! Kayo started hosting the monthly Japanese Life Group again. This month four Japanese attended. One of them is an elderly non-Christian Japanese man who was brought by his Cambodian Christian wife. Kayo also joined the worship team at ICA after taking a few months of during our time in Japan. She is scheduled to become one of the worship leaders in August. Last week, Kayo flew to Thailand for two days of a Japanese Christian classical music outreach concert. She was able to continue the networking and laying the groundwork for this group of professional Christian musicians to come and offer a concert in Cambodia at some point in the future. The schedule for this November did not work but we trust that God will open up the timing and provide all of the logistics at the right time. Euodia Ensemble in Bangkok, Thailand. They want to come to Cambodia. Pray for God’s timing. Benjamin has been home for summer vacation since we returned from Japan. 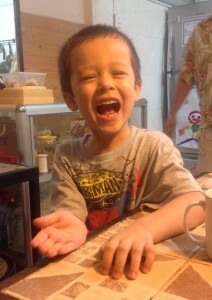 He will start kindergarten on August 11. 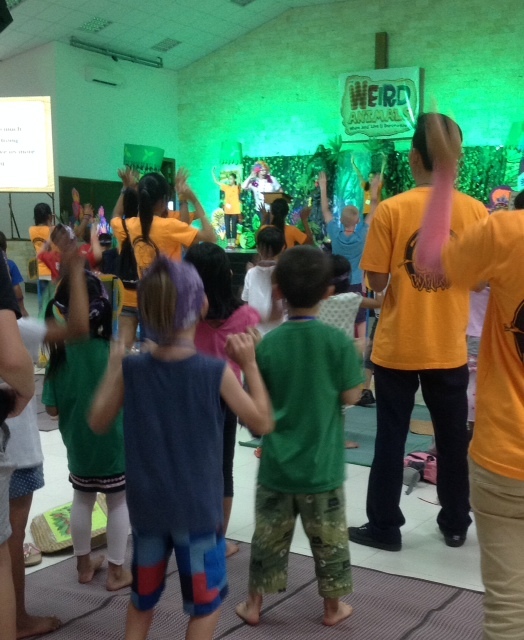 Last week he attended his first Vacation Bible School at International Christian Assembly. 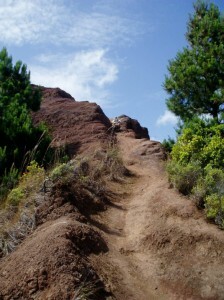 In my last post I shared about my recent struggle with exhaustion and vision of a steep path. God has been carrying us up the path! One of the biggest tests of faith was our finances. Between April and June we have been blessed with many large one-time donations. These donations have put our mission accounts back in the black. This means that once again we have sufficient financial reserves for things like emergency air travel, medical expenses not covered by insurance, ministry projects and equipment, and other unexpected expenses (if our car/computer/refrigerator breaks down etc.). It is really encouraging because during the time God was challenging me to increase my faith and trust in Him, His provisions were increasing as well. We have also seen some encouraging signs that our monthly/repeat donations may also be increasing. This is really important because our monthly expenses are increasing as well. For example, Benjamin’s preschool tuition and transportation was around $370 per month last year, which was a financial stretch. Next year they will be around $500 per month as he enters kindergarten. Other monthly expenses such as health insurance etc. are likely to increase as well. From our experience of God’s faithfulness and our renewed sense of calling to continue our mission work in Cambodia, we trust that He will provide for our monthly needs as well. When I returned to Cambodia I was informed that during the time that I was in Japan the Minister of Education had announced that no new universities will be allowed to register with the government until further notice. This move is part of a move to reform the education system in Cambodia in which degrees, diplomas, and certificates issued by Cambodian universities are not recognized internationally and have limited value locally. While the broader reforms are positive, this new rule has caused TIC to change many of our plans so that we can continue to develop and grow until the government starts allowing new universities to register again. On a positive side of things, the school was able to function and launch English and Leadership classes while I was in Japan. Even though Mr. Kimhong, our only administrative staff member, had to quit so that he could take a better paying job, God quickly provided a new administrative staff member, Mr. Hak. In addition, Andrew and Josephine Kwong, who have started and managed other schools, have more time available to devote to TIC. They have the experience, background, and vision to really take TIC to the next level. Since returning to Cambodia, I have felt a lack of peace about my future role in TIC especially because I felt torn between my work at TIC and International Fishers. This week, I finally realized that God was calling me to make some major changes. In December, 2010, I felt led to help Andrew (Dr. Kwong) start a Christian institute of some kind. Since then, I have been spending most of my time being obedient to that calling. I realize now that, that phase of my calling is complete. Trinity Institute has started! It was only a vision then but now it exists, even though it is small. God is calling me to have the time, energy, strength, and flexibility to really launch International Fishers. As a result, I will be stepping down as Vice President, Language Department Coordinator, and all other administrative duties as of July 15. I will continue to serve as a board member where I will focus my work on revising the constitution, bylaws, and polices to match the new organizational changes are coming soon. There are many exciting plans that are in the works that I look forward to sharing in later posts. I am more optimistic about the future of TIC now than ever before! Since returning to Cambodia, I was able to take a few hours to make Spanish language versions of my oldest videos Life: Creation or Chance and Jesus Christ: History or Fiction. You may wonder, “How/why are you making Spanish videos in Cambodia? “ I minored in Spanish in college and so when I was attending CC La Mirada I often attended the Spanish service. While visiting California last December I met Pastor Gustavo and he said that he was looking for apologetics materials in Spanish. I suggested making short Spanish language videos. I sent the church some video scripts in English. They translated the scripts and recorded them in Spanish and sent them back to me through the Internet. I used the Spanish audio to sync with my existing videos. You can see the videos at www.vimeo.com/internationalfishers www.vimeo.com/99210247 and www. vimeo.com/99211184 or www.facebook.com/internationalfishers Lord willing, we plan to make the Khmer version of the DNA: God’s Living Software in July and start working on God’s Technology: Birds vs. Airplanes. We visited Kampong Chhnang last weekend and spoke at Toul Ksaich Church. It was encouraging to see that Pastor Moeun has been carefully reading and highlighting the book Christianity: Reasons for Faith and then teaching his church members the evidence from the book. Lord willing, we will be able to publish an English-only version of this book as a resource for missionaries to other countries. We are thankful for all of our co-laborers who share in God’s work through us in Cambodia through prayer, investment, and encouragement. 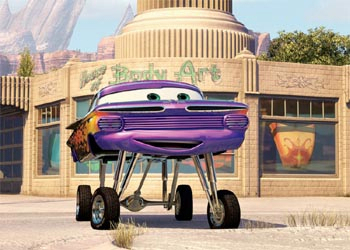 I (Darryl) have been going through a “mid-mission crisis”. Unlike a “mid-life crises,” I have no sudden urge to regain my youth and sense of adventure by buying a hair piece (Cambodia is too hot for hair) and buying a sports car. Instead, I suddenly had a longing for a peaceful life, a stable job, and stable housing (a 9 to 5 job, a mortgage, a mini-van, and money in the bank). When I was 24, I made a commitment to Christ, “I won’t say No” to any of His plans for me. This has led me to spend the 10 of the past 14 years in Cambodia as a missionary and the other four years have been divided between California and Japan, with only a few visits to Missouri, my home-state. It was easier to take bold steps of faith when I was 24 and single than when I am 37 with a wife and a child. I really struggled with this. I cried out to God, “I can’t climb any steeper paths. I’ve already given all of my strength just to get this far.” Since making the commitment to Christ, “I won’t say N0,” in 2000, I have suffered dengue twice, a nervous breakdown (bipolar disorder) and healing, countless disappointments, thefts, and serious food poisoning (bacteria, amoebas, and parasites) around 50 times. Recently, I explained my medical history to a doctor in Japan he said, “You are an expert of diarrhea.” I was at the end of my strength and I really wanted to run away from my calling. Since then, I have been challenged to continue to grow in faith through every stage of life, not just when I was young. If we were trusting God to meet our needs at 25, we should be depending on Him even more at 65 or 85. We can’t start off trusting in God in our twenties and then in our thirties and forties start trusting in our retirement plans and investments (not to say that these things are bad, but our sense of security and provision must be placed in Christ alone). We must be prepared to hear His voice, and follow Him, wherever in the world He calls us regardless of our age or other considerations. We have been experiencing God’s power a new way as we visit Japanese churches. In addition to being able to encourage the church member to be ambassadors for Christ in their daily lives, God has given us opportunities to minister to individuals. A Japanese junior high school teacher who is required to teach evolution to his students. Various parents who want to give evidence for the truth of Christianity to their children either to prevent them from losing their faith as a result of evolutionary teaching in public schools. Others need resources and encouragement to help restore the faith of their children who have already lost their faith. Other opportunities relate to challenging the Japanese not to bury their God-given talents but to use them for His glory throughout their entire lives. We have even had one opportunity to minister to a mentally-ill Japanese man and to point him to Christ in a way that could penetrate his confusion. Please continue to pray for us that we will continue to keep our eyes on Christ instead of the storms. As we visit Japanese churches and share about our ministries in Cambodia, we have the unique opportunity to encourage them to represent Christ before their families, classmates, co-workers, who they encounter in their daily lives instead of limiting their ministries to their church buildings. This message has been well received. We believe that this is also an important message for Cambodia as well and this is why we want to continue our work of equipping the saints there. Kayo also met with Mr. Yanase, the director of Euodia, a music ministry based in Japan about the possibility of having an outreach concert in Cambodia. Even though we are far from Cambodia, God still brings Cambodia across our paths. One of the students from the Royal University of Law and Economics in Cambodia came to Japan six years ago. He worked his way through language study and a university degree in Tokyo by delivering newspapers. Now he has married a Japanese lady. We were able to share a copy of Christianity: Reasons for Faith with him. Please pray that he will read the book and come to Christ. While visiting Tokyo Grace church, we spent a night at a missionary guesthouse. There we met an American lady who is planning to lead a lead a short term mission team to Cambodia in July, we have the opportunity to equip her team with International Fishers’ videos and recommend other resources to help them be more effective during their time in Cambodia. Please pray for strength, health, and courage for us as we continue the journey that God has set before us. Sometimes it seems that there is no one coming over the hills to help us. When we read these verses we can imagine a lost traveler or a soldier, about to be defeated, desperately scanning the slopes for any sign of a a rescuer or reinforcements, but no one seems to be there. It is in these moments that we realize that our help isn’t on the hilltops but our help is from the LORD who made the hills, the earth, the universe, and heaven. During the days between speaking engagements, I have been watching a lot of Creation videos on my computer. It has been encouraging to be reminded of God’s infinite power displayed from the smallest sub-atomic particle to the farthest star in the universe. Discoveries of the physics of space and time itself help us to begin to appreciate God’s omnipresence and omniscience. And yet, with all God’s power, there is overwhelming evidence that He knows us and genuinely cares about us as individuals. As faith-missionaries, there is no one who is obligated to pray for us, help us, host us, or partner with us financially. In other words, we have no reason to expect anyone to be coming over the hills to help us. HOWEVER! There are brothers and sisters in Christ in the US and Japan who have been faithfully praying, helping, hosting, and financially partnering with us for seven years or more, regardless or the economy or their personal situation. We have never been without food, clothes, housing, or transportation no matter where we go in the world. This is evidence that our help came from the LORD through our senders. We are thankful for those that God has chosen to use to make His work possible. Benjamin with Tokyo Chapel kids as they prayed for the kids advancing to the next grade. Benjamin will be entering Kindergarten in August. educational, and ministry expenses have been exceeding our income from the US and Japan for some time now, and our reserves are being used up. We have been trying our best to reduce expenses, but some expenses such as Benjamin’s Christian school expenses will continue to increase. If we cut our personal or ministry budgets much deeper, we will lose our ministry productivity. Therefore, it is becoming clear that we need more help from the Maker of the hills, if we are to continue our ministries in Cambodia over the long-term. If not, we are willing to return to the US or Japan, but we don’t have any sense of calling or open doors for this. Regardless, we desire to finish our work in Cambodia well, with a sense of completion and victory. I am sharing this need publicly, so that when God meets this need, we can praise Him publicly. God has often met our needs from unexpected directions. Please pray that God will strengthen our current senders and raise up new senders in the US and Japan.